It’s that time of year again. Tour Divide 2010 just started out about an hour ago. 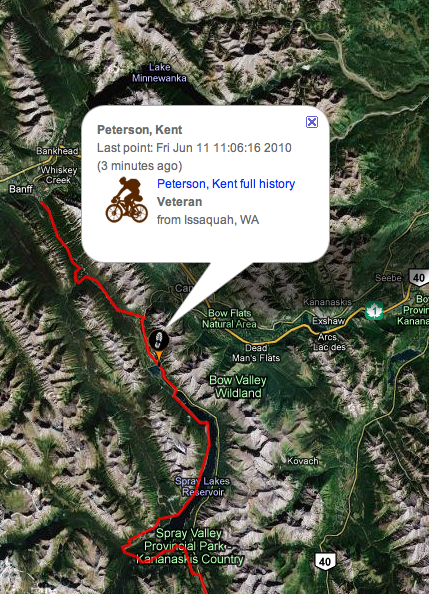 This year I’ll be paying particular attention to the progress of Issaquah bike blogger, ultra-cyclist and Mountain Turtle par excellence, Kent Peterson. Looks like he’s off to a good start in his quest to reclaim the single speed record. I was actually kind of bummed out to realize that Kent’s pre-race prolog route took him through Spokane after he had already passed through last weekend. Had I known in advance he was going to be heading east on the Centennial Trail I would have tried to meet up and ride with him a bit. He’s definitely high on my list of people that I want to ride with at some point.